West Antarctica’s massive ice sheet is undergoing significant change and this is affecting the rate of global sea-level rise and the shape of the Earth. GPS measurements are used to detect the pattern of solid Earth deformation across Antarctica, and this is linked to past and ongoing ice sheet change. In Palmer Land, in the southern Antarctic Peninsula, the pattern of deformation measured by a dense network of GPS receivers cannot be explained by our current understanding of ice sheet change across the region. 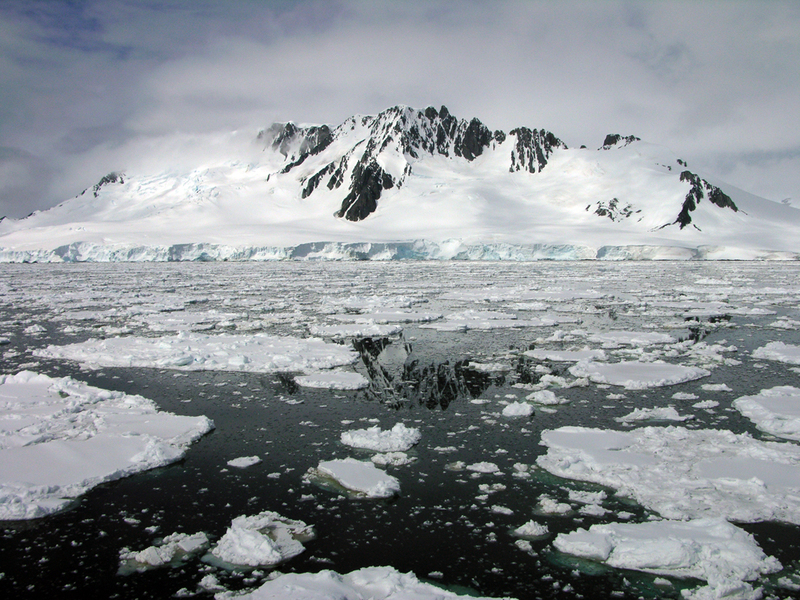 In particular, the GPS measurements indicate that either there was more ice in this region in the past, or ice retreat in the southwestern Weddell Sea region continued until much more recently than previously thought. Antarctica is a vast continent covered by ice sheets up to 5 kilometers thick. As the ice sheets change, so does the land beneath them. In particular, as ice mass is lost, the solid earth gradually rebounds via a well understood process called glacial isostatic adjustment (GIA). GIA models can be used to predict the rate of rebound if the structure and character of the subsurface and the history of ice sheet change are known. Palmer Land in the southern Antarctic Peninsula is undergoing rapid changes in ice mass, but the structure of the Earth beneath is poorly known. 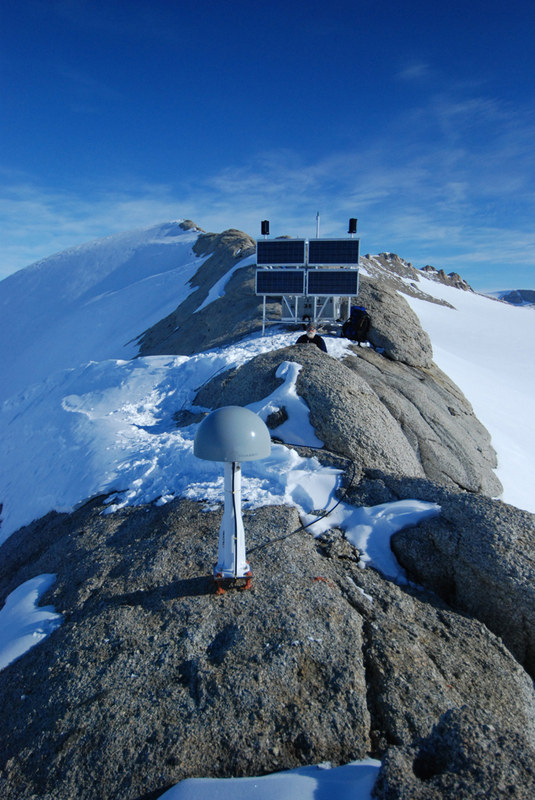 Here, the installation of a network of GPS sites is providing information on the rate of change of the solid earth, which is helping us to improve our understanding of past ice mass change and the structure of the crust and mantle. Better models and more observations will improve our ability to interpret gravity measurements – such as those made by the GRACE satellites – in terms of contemporary ice sheet change. 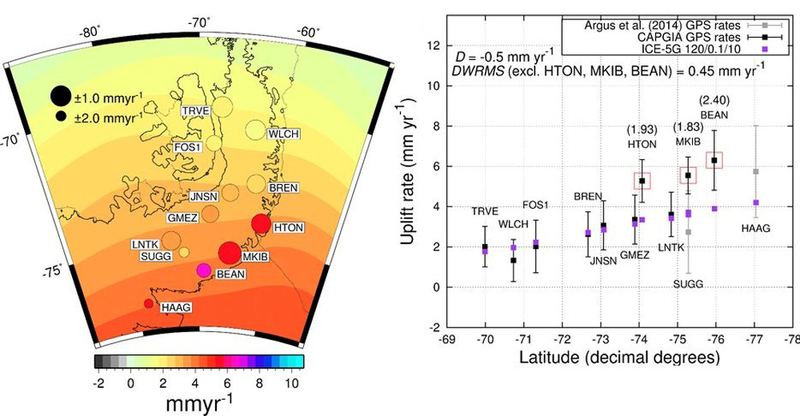 Of the 12 GPS sites deployed in Palmer Land, three sites adjacent to the Ronne Ice Shelf of the southwestern Weddell Sea yield significantly higher uplift rates (e.g., by about 2 millimeters per year) than predictions from a suite of GIA models. The most likely cause of the mismatch is the relatively unknown ice history of the region. Either the amount of ice in the region was larger in the past or ice mass loss continued until much more recently than previously thought. More geodetic and geologic observations are needed to refine the ice history, and hence improve models of GIA. An improved GIA model would in turn permit a more accurate interpretation of satellite measurements of gravity change, thus enabling us to better quantify Antarctica’s current contribution to global sea-level rise. Uplift rates from a new high-density GPS network in Palmer Land indicate significant late Holocene ice loss in the southwestern Weddell Sea, Wolstencroft et al. Geophys. J. Int. (2015) 203, 737–754, doi:10.1093/gji/ggv327.